Not that expensive compared to other accommodations. The ferry to get there is free. 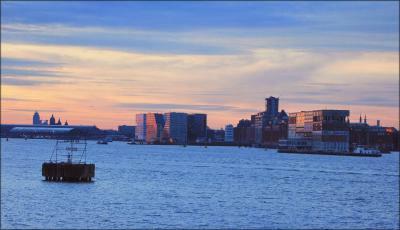 Take the one on the left side, there are three or four ferries. The last ferry is around 1 in the morning. Usually it’s one in 30 mins but in the morning( before 10) it’s one in 15 mins. There is towels, a cup, toilet paper and shampoo/body wash combo. The location is great and the beds were comfy. It was also surprisingly quiet and fairly spacious. The shower had good water pressure and temperature. the room is clean and the hotel stuff really perfect in all-time and really helpful, I didn't eat breakfast but its look fine, from the central station there a boat you take it free to reach the hotel every day, the hotel gives you all the information about that too with a map, the seas view its unforgettable, a good experience to sleep in the atmosphere of a ship and you will love it. Everything was there. But sadly not to our taste and our lifestyle choices. My husband loved boats but this was an experience he cannot repeat due to health issues. We tried and it was a failure for us, but for young people without a car and without health problems it can be an ideal location and for a short stay ideal. The breakfast was great!! And super clean, the bar is also open until 1 am! Botel This rating is a reflection of how the property compares to the industry standard when it comes to price, facilities and services available. It's based on a self-evaluation by the property. Use this rating to help choose your stay! 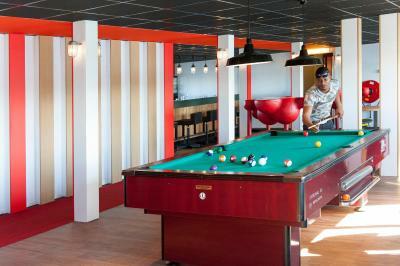 Guests can relax in the bar area and play pool or video games. During nice weather guests can enjoy the terrace. 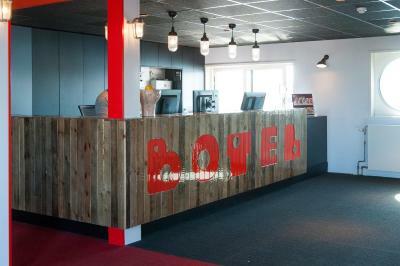 When would you like to stay at Botel? Includes 1 bunk bed and 1 single bed. 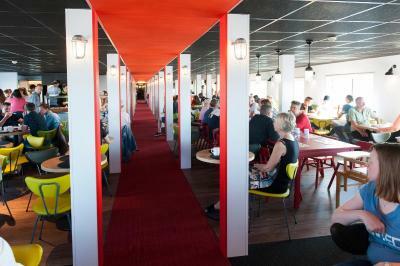 Botel is a modern floating 3 star hotel in Amsterdam. A perfect base of operations for getting to know this exciting city. 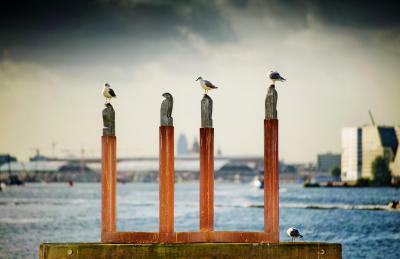 The Botel is moored at a vibrant spot on the banks of the river IJ: the historic NDSM Wharf. 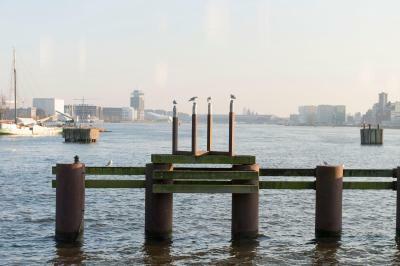 Formerly a dynamic shipyard, over the last ten years it’s been transformed into the epitome of hip, hot and trendy: festivals, events, art, restaurants enz.! House Rules Botel takes special requests – add in the next step! Botel accepts these cards and reserves the right to temporarily hold an amount prior to arrival. Guests using a satellite navigation system to find the property are advised to use the following address: Mt. Ondinaweg. When booking more than 5 rooms, please contact the hotel as other policies and supplements apply. Please note that when booking a non refundable rate where payment is due before arrival, Botel will provide detailed payment instructions, for example a link to a secured payment platform. very noisy!!! there is no soundproofing at all! Funtiture was damaged. Bathroom was cramped. Staff were extremely helpful and a lovely breakfast. Thanks for making a short stay a pleasant stay. Thin walls, bathroom abit smelly, beds hard. Easy enough to get to, value for money. The bathroom was rather small, but then the hotel is a boat! A typical Dutch breakfast with a wide range of food. Very clean, friendly staff, nearby cheap parking, easy access to ferry. Pollux Boat restaurant was very nice and food was reasonably priced. 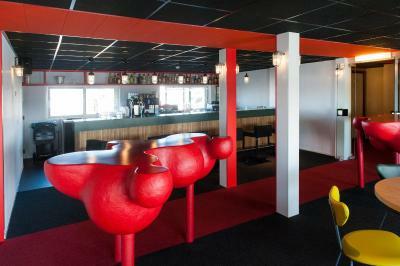 Good bar and easy to reach the centre from that port. Totally understand because it's a boat so rooms are fairly small, however would've liked a double bed instead of two singles for £190. We were able to rent a bike from the hotel which was great no messing about having to take it back to a shop Small bar with pool table was good and the free shuttle that took us to the station early in the morning. Friendly and welcoming staff. Will 100% be staying a third time! Breakfast is a bit busy with queing and hussle bussle of getting plates, cups and cutlery but that , if anything is my only criticism. Which shouldn't really be a criticism as it is a very popular place to stay and it is a continental buffet breakfast. Botel is a great little hotel only a 10 minute ferry ride away from Amsterdam Central with ferries running every 20 minutes. 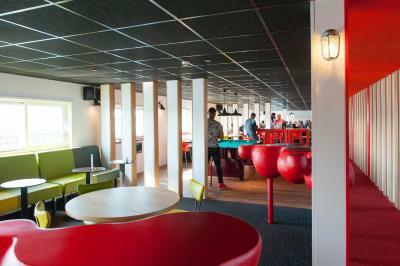 As it isn't in Central Amsterdam its price is a bit lower than other accommodation but Botel was quiet , comfortable beds . Cleanliness of room was great , housekeeping great. I really couldn't fault this place for the price. The bathroom hasn’t got much space to move around in. The breakfast was nice, the bed was comfortable, the staff was very friendly.